April is Mental Health Awareness Month! A Gavilan college student in PSYCH 32 is doing a research study. The purpose of this survey is to discover coping strategies practiced by college students with mental health disabilities in managing challenges in school. The survey is anonymous and your answers are appreciated. Please complete the survey at: http://www.surveymonkey.com/r/FV2YS9X Thank you! 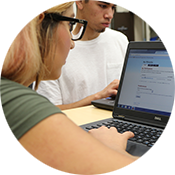 The Accessible Education Center (AEC) at Gavilan College provides programs, services and support to help students with disabilities succeed in school. We strive to equalize student educational opportunities and improve access so that every student can participate fully in all aspects of college programs and activities. If you have a verified disability and need academic modifications or services, we are here to help you move toward your goals. Please come by the AEC (we’re in Library 117) and see what we can do for you! 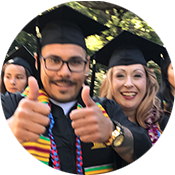 Gavilan College Accessible Education Center (AEC) provides students with disabilities quality and excellence in programs, services and support which enhance the quality of community life, and the development of individual potential for a global environment. Test Proctoring Accommodations - The Test Proctoring Center has moved to MP 100! Attend a AEC counseling appointment to discuss appropriate accommodations based on your disability. Once you receive your Academic Accommodations Plan, you must request your services through the appropriate AEC staff. In addition to receiving services, you are also encouraged to communicate with each of your instructors. We can help you or your instructor with any questions that may arise. Review our AEC Pathways handout, which includes our Educational Assistance Courses and our recommended pathways to help you succeed as a student. Click on the Transition to College for Students with Disabilities link for information. Need more information, go to Gavilan College's Student Services website. If you are a high school student and plan on attending college, check out this Transition Guide.